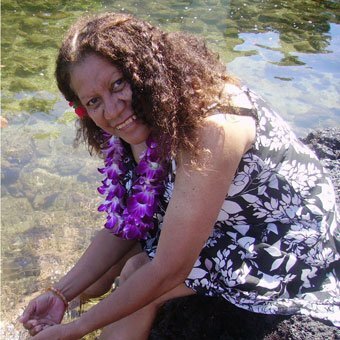 Cindy Drummond has both Aboriginal and Torres Strait Islander heritage, Ku Ku Yalangi (Aboriginal) on her mother’s side, a tribe situated in far North Queensland Australia, and St Paul’s Village on Moa Island, situated in the Torres Strait on her fathers side. Cindy is a true multi talented veteran performer in indigenous circles in Australia today; she performs both traditional Aboriginal and Torres Strait song and dance, and has just recently become one of the countries leading indigenous singer songwriters in contemporary music. Cindy released her highly successful debt CD, “Ruby Red Lips” in 2005, working with a respected cast of Australian musicians including Reg Mombassa, Jonathon Zwartz, Sean Wayland, Ben Hauptmann, John Nicol and Peter O Doherty. Cindy was also vocalist on The Descendance CD “Creation” 2008, and a star attraction with her performance at the 2006 Deadly Awards (Aboriginal) at the Sydney Opera House. Aboriginal Deadly Awards Opera House performance . Tours London with Descendance for Toast festival and Lords performance. Hawaii Tour, Honolulu Festival, Pearl Harbour, Hilo, Media performances. Gay & lesbian Mardi Gras 30th anniversary Sydney. Palm island performances and cultural teachings. Tour of New Zealand for Australia Week for Tourism Australia. Performance at the 2006 Deadly Awards at The Sydney Opera House. Penrith City Council NAIDOC week. “Spirits of the Soil” Descendance first theatre production, hosting American Crow Indians into the performance at Bondi Pavilion, part of The Sydney Fringe Festival.